Polyurea(s) have been around for many years and used and a vast array of different industries. Polyurea is just now beginning to show its incredible capabilities in in the RV industry as something exponentially better than traditional roofing systems. AG7123F is Ameraguard's aromatic pure polyurea being utilized for RV roofing. The advantages of using polyurea in replacement of the typical rubber, epdm, and caulk RV roofing systems are quite substantial. See our FAQ page for the differences between pure and hybrid polyurea. 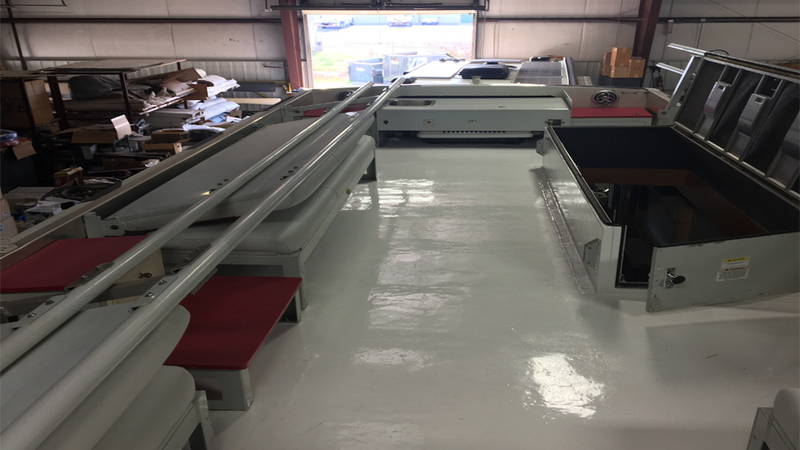 For the RV roofing industry, the single most advantageous characteristic pure polyurea offers offer is the high elongation for more flexibility. The pure polyurea is top coated with Ameraguard’s UV stable top coat and comes in ANY color needed. This top coat is added to protect from the roof from UV degradation, color change and to offer the ease of color matching. Repairs to the roof with polyurea are extremely easy and can be done with our 3 step process. Our polyurea and topcoats come in various sizes such as 5 gallon pail sets all the way up to 50 gallon drums and 205 gallon totes! 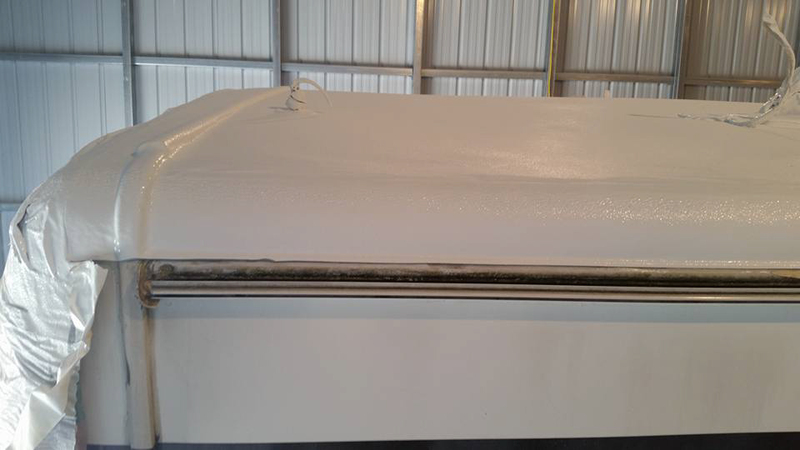 If you would like to get your RV sprayed with a polyurea roof to last you a lifetime contact us at 866.366.7035 and ask for a applicator nearest to you. Our AG77 hybrid polyurea has shown to be the best chemical for these two applications. This is due to its superior hardness and exceptional durability to abrasion and blow outs. AG77 can be applied to steel, aluminum, fiberglass, foam, most plastics, and nearly any painted surface with little no no prep needed. This hybrid polyurea requires no top coat and carries our same lifetime chemical warranty.